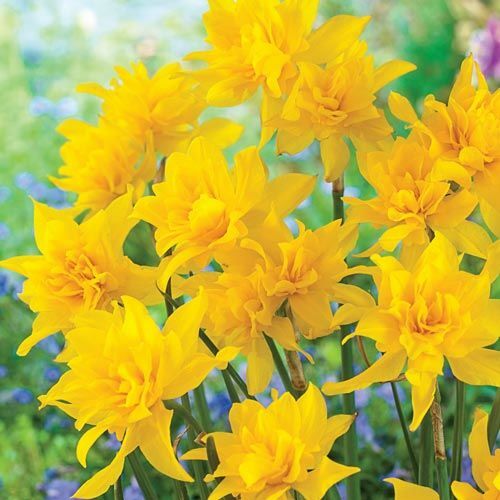 Create a landscape full of lively colour with attention-getting Double Campernelle daffodil flowers. These Dutch-sourced daffodils feature small rich feathery yellow double blooms. Their graceful form resembles an open rose. Add these fragrant perennials to your cutting garden for enticing flower arrangements. With a petite height of 10 to 12 inches, these dainty double daffodils also make an enchanting addition to flower beds and woodland gardens. Plant these dreamy daffodils (Narcissus double cupped 'Double Campernelle') in full or partial sun in the autumn for early spring blooms. Double daffodils flourish in climate hardiness zones 3 to 8 and require well-drained clay, loamy or sandy soil. Plant your deer-resistant daffodil bulbs 6 inches deep and about 4 to 6 inches deep for ideal growth. Add Double Campernelle daffodils to gardens with pansies, tulips, phlox and hyacinths for a stunning display of colour and variety. 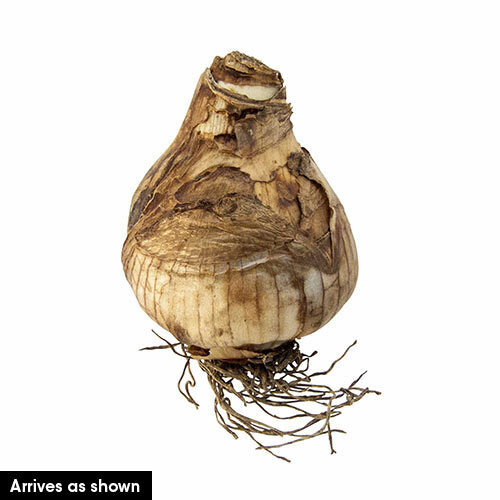 Plant the daffodil bulbs in groups of 20 or more to add bright and lively spots to your yard. 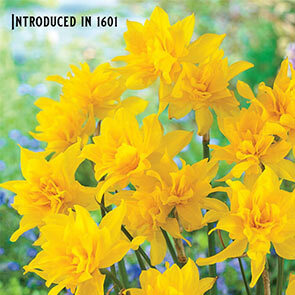 You can also add these daffodils to a fun cottage garden with other colourful blooms for a delightful spring array. Plant them along walkways and paths for a luminous addition. Enjoy the enticing aroma and bright blooms of Double Campernelle daffodils. Double form creates roselike elegance. This extraordinary double was described as early as 1601, but wasn't officially registered until 1850. Over a century and a half later, it's still popular! Intensely fragrant variety bears small, yellow, fluffy flowers with an elegant form similar to that of an open rose. Long-lasting blooms make perfect cut flowers and perennialize well even in warmer climates.